It can be mind-boggling to sort your way through all the different names of the injectable dermal fillers, what they promise to deliver, how long they will last and how they will make you look. The good news is…there are lots of choices. The bad news is…there are lots of choices. Well, there is no “perfect filler” or one size fits all option, which is great since my patient’s needs are diverse. So it sure is nice to have more than one tool in my toolbox of non-surgical volume restoration treatments. I have recently added Bellafill to my toolbox. 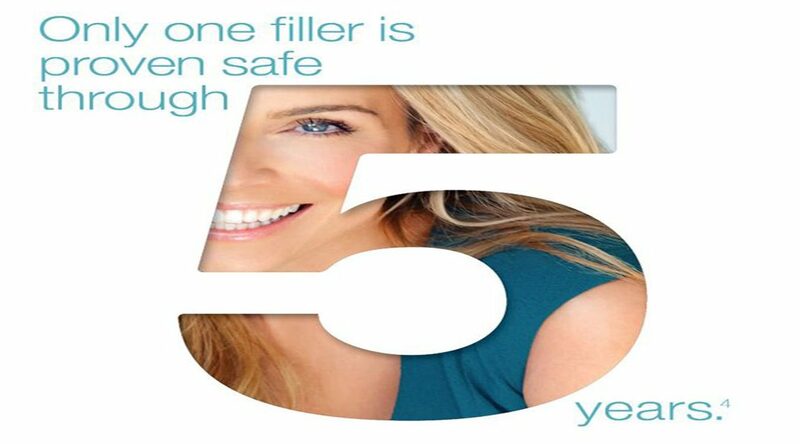 It is not a new injectable dermal filler since it was approved by the FDA in 2006. There are some great advantages to Bellafill and over the last 10 years, I have studied the long-term effects and results. The primary advantage is in how long it lasts. Studies show Bellafill can last up to five years. It cost more than the other fillers but it can give you longer results with little to no downtime. It is similar to Juvéderm, Restylane, Perlane and Voluma since Bellafill delivers immediate results and can be injected using local anesthetic in an office setting. The differences include the need for skin testing, treatment usually requires 2 sessions for correction of the desired area, not for use in lips, it cannot be dissolved, and Bellafill stimulates collagen production. Bellafill is also the only injectable dermal filler designed to treat facial acne scarring. Bellafill is composed of polymethylmethacrylate (PMMA) microspheres, cow collagen, and lidocaine. It works by stimulating your body to produce collagen, which produces the long-term lift. Below is a video link demonstrating how Bellafill works. I am glad to offer this tool for my patients who have acne scars or who want results that last years not months.